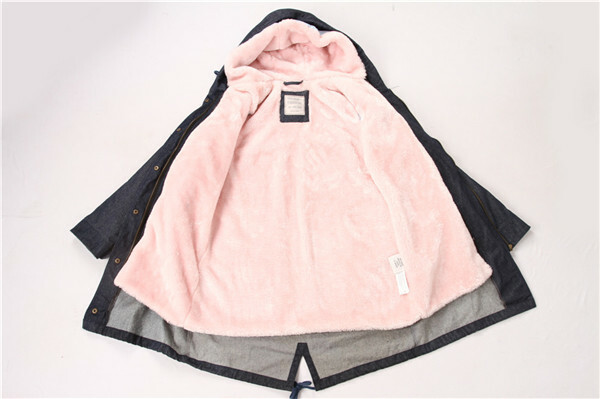 Buy it now and sell it in Winter. 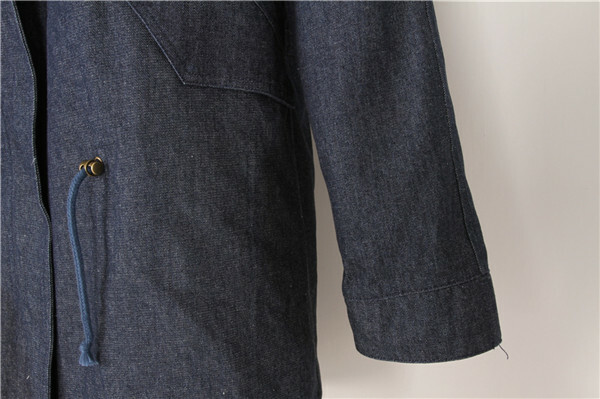 Two in one winter jacket, the linning can be separated when the temperature goes higher. 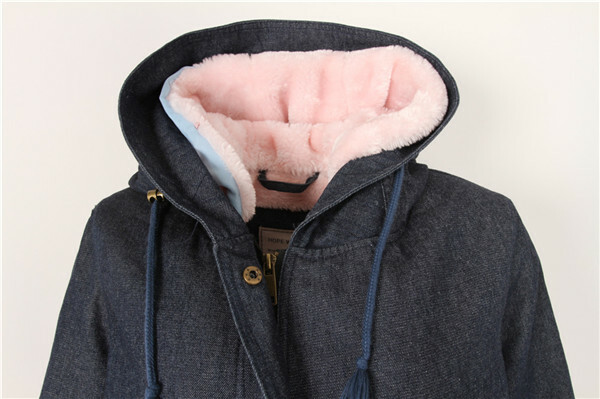 The linning is 100% polyester fleece in pink color, it is warm and perfect marching with the denim color coat. 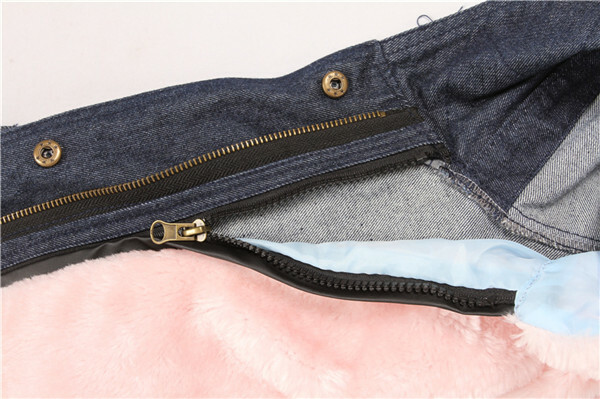 The upper is denim fabric, the color is denim color, fashion and good-looking. 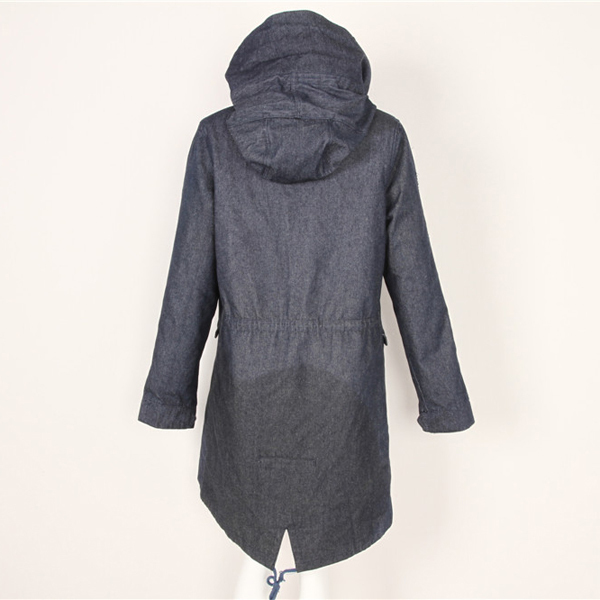 The cutting of this coat is also very nice, with zippers and pockets. Because of late shipments it becomes stock. The stock price is nearly 40% lower than the fresh order. 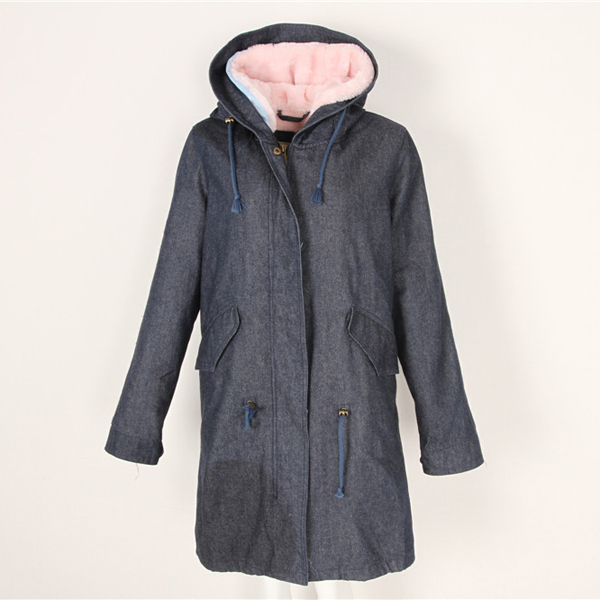 For sure this women's winter coat can sells good in your shops. Come and get the business growing.